Often, designer clothing influences the likelihood that children will be popular in school. School uniforms have long been common in parochial schools, but a number of public schools also have uniform standards. Uniforms may simply involve wearing a standard T-shirt or top. Other uniforms may address specific styles of pants, socks and shoes. Requiring uniforms has pros and cons, often centering on the balance between individual expression and conformity. The common reason students don't like school uniforms is they go against their ability to express individuality through clothing styles. From a political perspective, uniform detractors point to the right of individuals to free expression. Psychologically, young people feel like they have the right to express themselves. This is especially true as kids get older and can become resentful of their inability to choose personal clothing styles. The creative abilities or tendencies of students is sometimes affected by rigid school uniform policies. The more restrictive the uniforms, the more negatively they may impact individual expression. Creativity typically results from a less-restrictive, open atmospheres where students feel they have the freedom to express ideas, create original works and think critically, according to Missouri University theater professor Suzanne Burgoyne. Uniform policies can stifle the willingness of a student to engage in creative activities or his comfort in doing so. Social conformity is a key motive for school uniforms. The pressure to buy the latest fashion can create stress on students, especially those who come from families without the financial means to keep up with classmates. Clothing and fashion often correlate to the development of cliques and social groups within schools. With a uniform standard, you can minimize the effect clothes have on economic and social barriers, which can improve overall school spirit and the sense of community. Another key driver of school uniform policies is safety. When you force students to conform with uniform standards, you can deter gang activity because gangs often identify themselves with clothing styles or colors. 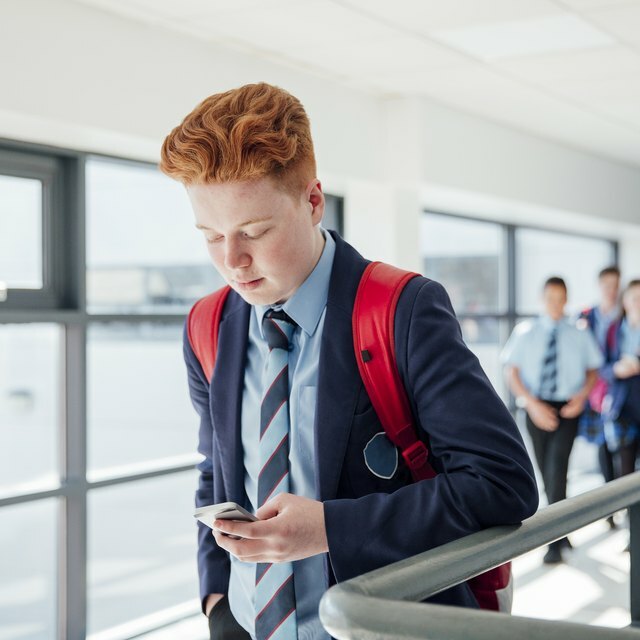 Schools can also more easily spot intruders if someone is walking the halls or enters a classroom without the requisite attire. Though data is limited, some studies suggest the propensity for student violence is mitigated with conservative uniform policies because they remove some of the social and economic barriers between students. California's Long Beach Unified School District, for example, has reported a major drop in school crime since instituting a uniform policy in 1994. The Today Show: Are School Uniforms Helping or Hindering? Kokemuller, Neil. "Individuality Vs. Conformity and School Uniforms." Synonym, https://classroom.synonym.com/individuality-vs-conformity-school-uniforms-17520.html. 25 June 2018.